The Three Star Immortals are better known as Fu, Luk and Sau which translates into Happiness, Prosperity and Longevity. 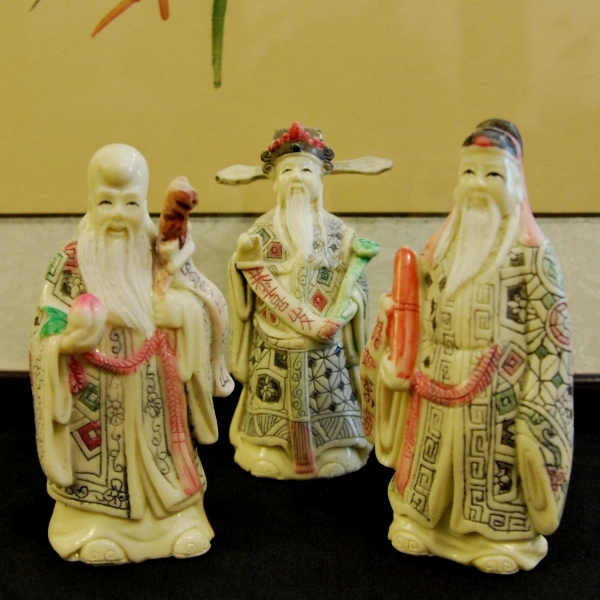 These figures are the most common figurines found in a typical Chinese home or place of business. The Three Star Immortals are usually placed in high traffic areas for all to admire, such as a living or dining room. 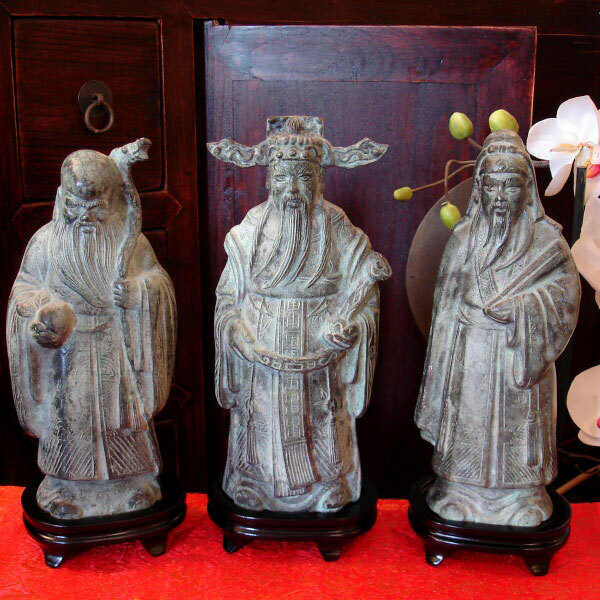 When strategically placed, the Three Star Immortals will bring good 'Feng Shui' balance. The Three Star Immortals are hand made and constructed of heavy walled brass that is sand casted, hand worked and chemically oxidized to bring out the natural green coloured patina, characteristic of oxidized brass. The Three Star Immortals are never separated therefore are only sold as a complete set of three. Price listed as a set of 3.